2.0 MEGA PIXEL HD VIDEO CAMERA: Powerful video processing supports 720P HD video (up to 1280 x 720) at 30 fps both recorded in a high bitrate. Advanced sensors and processors ensure everything is captured with more image detail and the image data needed for posting to your favorite social media outlet. LIVE VIDEO RECORDING: Download, Edit & Share, it's that simple. We have made it effortless to share your footage with everyone. Soar through the sky and capture a Wide Angle birds eye view with stunning HD footage. Upload it directly to your favorite social media outlet, the possibilities are endless. BEGINNERS AND KIDS FIRST DRONE: This drone was born for those who have a sense of adventure, there is no need to have any pervious experience needed. Simple RC controls make this micro drone perfect for all ages. 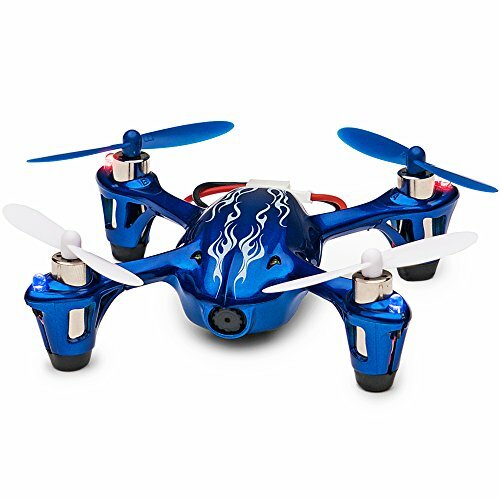 So whether you are a seasoned pilot or just getting started this drone is perfect for you. SIMPLE FLIGHT CONTROLS: 6-Axis Gyro Technology makes it possible for excellent performance of 360 degree flips and rolls. Hold down the right direction stick to perform each flip or roll in any direction. Using four specially miniaturized motors and advanced algorithms for the capturing the smoothest possible video. NO FAA registration required. CUSTOMER SERVICE: We know your first time flying an RC Drone can be difficult. So whether you have questions about our features like; how to Record Live Video, Takeoff & Landing and controls, or just general maintenance questions or repairs we're here for you. One of our dedicated customer service representatives will have you up and flying in no time. If you have any questions about this product by Tekstra Brands, contact us by completing and submitting the form below. If you are looking for a specif part number, please include it with your message.